The new study, published in Molecular Cell, focuses on one of the most common drug targets in modern medicine: GPCRs, short for G protein-coupled receptors. The receptors sit on cell surfaces and are targets for nearly one-third of FDA-approved medications. When drugs like beta blockers attach to GPCRs, they influence protein pathways inside the cells. One pathway activates "G proteins" that are of therapeutic benefit, while a second pathway activates proteins called arrestins that can lead to side effects. The new study shows nitric oxide helps determine that the right pathway gets activated. The researchers investigated nitric oxide due the molecule's established role in receiving signals from GPCRs. The team genetically engineered mice to lack the ability to attach nitric oxide to one half of the pathway—the arrestin proteins that can trigger side effects. 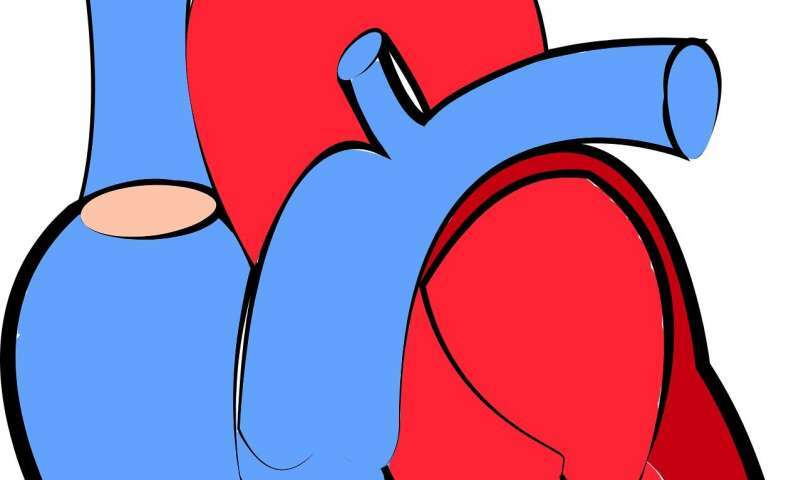 The results suggest heart failure severity could vary based on nitric oxide levels in the body. Low levels could cause GPCRs to primarily activate the arrestin side of their signaling pathways—leaving out the other half that helps the heart respond to stressors. "Without nitric oxide, heart rate and contractility can't increase, and thus hearts fail," Stamler said.